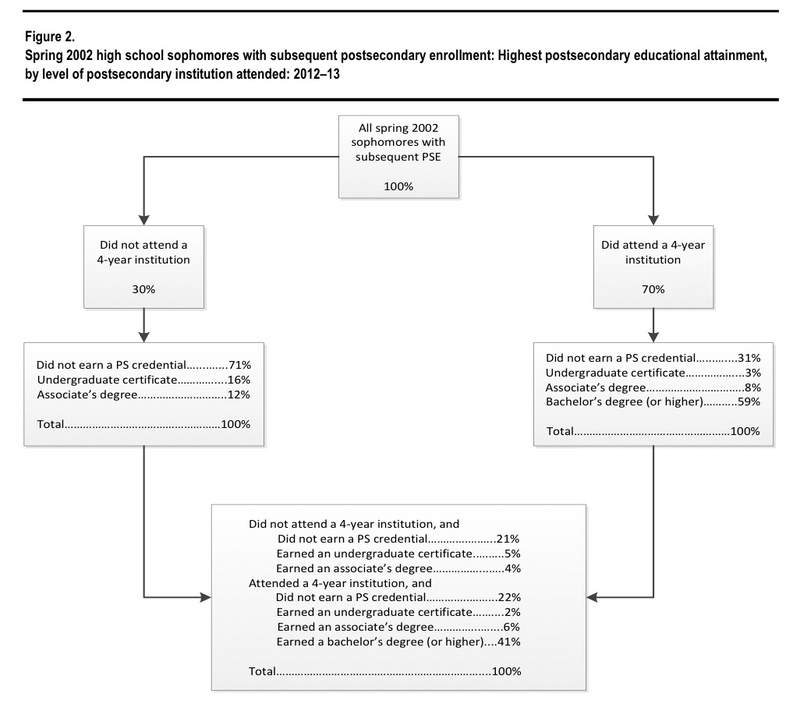 For those of you looking for a little light reading, the 75 page Education Longitudinal Study of 2002 (ELS:2002): A First Look at the Postsecondary Transcripts of 2002 High School Sophomores might be just the trick. This study from the National Center for Education Statistics examined the postsecondary transcripts of 11,522 high school sophomores going back to 2002. This large sample of US high school students provides researchers a valuable source of data to illuminate the factors that influence transitions from high school to college, as well as success and failure rates throughout the postsecondary education system. 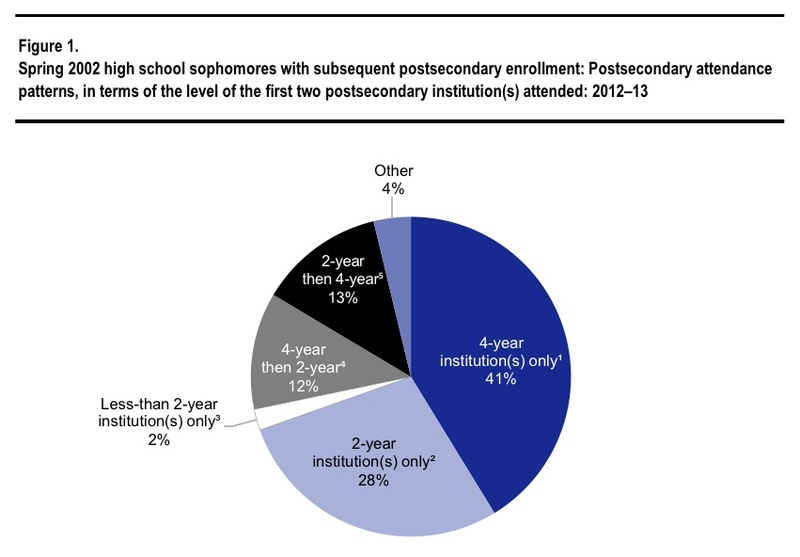 Eighty-four percent of spring 2002 high school sophomores had at least some postsecondary enrollment as of the 2012–13 academic year. Of that 84 percent, 8 percent earned a master’s degree or higher, 33 percent earned a bachelor’s degree, 10 percent earned an associate’s degree, and 7 percent earned an undergraduate certificate, which included certificates in administrative support, computer programming, cosmetology, and medical records. The overall undergraduate grade point average (GPA) from this sample was 2.65. The figure dropped to 1.99 among those who did not attend a 4-year institution and did not earn a postsecondary credential, and rose to 3.16 for those who earned a bachelor’s degree or higher. Only one percent of those whose 10th-grade reading assessment score was in the lowest quartile attained a master’s degree or higher. A total of 13 percent of these students attained a bachelor’s degree. By comparison, 17 percent of those whose 10th-grade reading assessment score was in the highest quartile had attained a master’s degree or higher, and an additional 47 percent attained a bachelor’s degrees. Those who attended a 4-year institution earned, on average, 86 percent of the undergraduate credits they attempted; those who did not attend a 4-year institution earned, on average, 68 percent of the undergraduate credits they attempted. Other reports paint a troubling picture of recent efforts to bring college completion to all. For instance, the National Journal reported that 4 out of every 10 Californians are Latino, but only 12 percent earn a bachelor’s degree. Compound this with the fact that 75% of LAUSD 10th grade students are not demonstrating college readiness by scoring a C or better in A-G required classes and we have a more nuanced view of student achievement. We know that GPA is a strong predictor of college success, but this NCES study shows how dismal the college graduation statistics really are for students who are unprepared. Only 4.9 percent of C- and D students (GPA less than 2.0) earned a bachelor’s degree by their mid-20s. For those with a solid C average (2.0 to 2.49), 14.8 percent earned a bachelor’s. That number rose to 28.2 percent for C+ (2.5 to 2.99 GPA) students. By contrast 65 percent of B students and 81 percent of those with a 3.5 GPA or higher earned at least a bachelor’s degree. Ten years after high school, only 41 percent of the sophomores from the class of 2002 have earned a Bachelor’s Degree. What do you think these numbers say about a college for all culture? 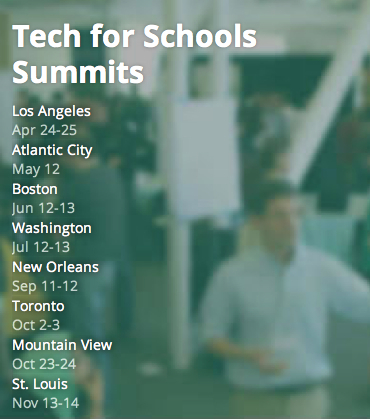 This post will encapsulate everything I saw and experienced at EdSurge’s LA Summit on Saturday, April 25, 2015. So glad I attended. Good food, good people, and some amazing products. The event was held at the Magic Box at The Reef just south of downtown LA. My first impression of goformative was is this a tool that could go with getkahoot? I saw another data visualization tool that looked pretty impressive called venngage. I wonder if I could use it to present all of the data from my summer MOOC Improving Historical Reading & Writing? After a nice breakfast, a keynote was delivered by an USC education psychologist on student motivation. There were speed dating style presentations from a plethora of ed tech startups. Teachers were given in-person product demos for two hours before lunch. I have made the a link out of the product name. My notes attempt to explain the product, be sure to follow the links to learn more. Edivate – the new PD 360 – one million+ community of educators featuring 4,000 PD videos approximately 10 min each, adding 10 per month. Otus – 1:1 made easy – Chris still a social studies teacher. Yay! LMS free for teachers. TeachBoost – Jill – supercharge professional growth. Tightens feedback cycle in observation and Evaluation. Cultivate talent that is already in your district. MangaHigh K-10 ends at Geometry. Game-based math curriculum. Adaptive quizzes aligned with games. Help students learn new concepts. Gradebook aligned with common core. Students compete with students from other schools. Web-based. $4.00 per student per year. MotionMath – Brandon K-6. Founded from Stanford 3.5 million downloads. All games are included in one app. Free pilots of MotionMath free through June. SokiKom – Katie Stevens – 3rd grade teacher. Funded by US Dept of Ed. 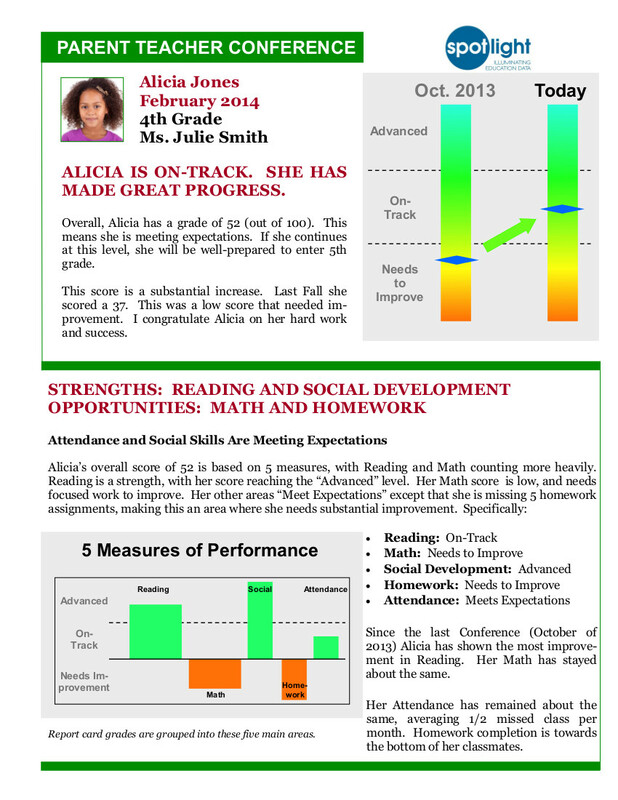 Variety of detailed reports for providing feedback to students. Solvy – High School Math Homework. Todo Math – Helping all children succeed with math. 7 languages. Pilot program with 1,400 classrooms. Online teacher dashboard that allows T to set preferences for entire class. 123D Circuits – Free online tool used for designing three dimensional circuits. TinkerCAD – Andy Taylor. Design made simple. Online browser-based free 3D modeling tool. Make 3D modeling fun. Simple CAD, coding, import TinkerCAD models into Minecraft. Nepris – Christina – connecting industry professionals to your classroom in a virtual learning platform. Sounds like Educurious. Nureva Troove – Digital portfolio software Tabitha Tatum. Used with 6 year olds. Student Centered. Students take ownership of their work. 1,000 Teachers. 3,000 parents. Pearltrees – Organize all your interests. Visual library. Save, organize and share your knowledge. Social network. Follow and share other collections that interest you. Launching an ambassador program. BrainRush – Adam. 6,000 NGSS and Common Core aligned games. Co-founded with founder of Atari. Mastery-based. Teacher tools to monitor students. Teachers can modified or create their own games and add to system. Cashtivity – Rosa. Teaches business and entrepreneurship. Financial independence increases choice in life. Financial Literacy Tool. GlassLabGames – Commercial quality games. 8 games on website. Adding 8 games per year. Adam taught at Franklin for 8 years. 60 day free trial. Middle to lower High School. Gonoodle – Taylor. Focus, engage and motivate your classroom. Free website. 100 games and videos to get kids moving throughout the day. Make your classroom ready to learn. GradeSlam – Your personal genius 24/7. Philip Cutler. Private online tutors around the clock for K12. Tutors are screened and undergo a background check. On Demand marketplace of tutors. Offering free hour of tutoring. Redbird Advanced Learning – Joe Brownfield – Stanford digital education. K-7 highly adaptive algebra curriculum. STEM based project at the end of every unit. 100 games delivered at point of instruction. Choosito – Scholarly search engine for education. Personalized resources at each student’s reading level in real time searches. 1 Trillion pages on the web. 100 million pages added every day. Edulastic – Jordan Taylor. Formative assessment platform. Create share and customize effective math and ELA assessments. Debut July 2014. Nextlesson – Bonnie – Connect Learning to the Real World. K-12 Performance tasks that emphasize problem solving. 5,000 resources, 50K teachers, 250K resources downloaded. ThemeSpark – David Hunter, former middle school teacher. Curriculum design tools for teachers. Helps teachers improve instruction. Resource for Chris Hitchcock? Zeal – Ashley McDonald 4th grade teacher in SF. Free web-based assessment app. Grades K-8. Hot te – xt, multiple part, fill in the blank questions. Actively Learn – Reading app. Stop skimming, start learning. Let students find joy and purpose in reading. Ask students to collaborate inside text. Teachers can collaborate to curate instructional resources. Books That Grow – Daniel. Meets students at their level. Helpful for ELL students. Like rewordify. Text that can be read at multiple levels of complexity. All students can read together and have a common discussion about the text. Meant to be used in day-to-day instruction. Curriculet – Thomas – leveled readings with the capability for embedded questions. Ponder – Alex. A scaffold for inquiry. Checks students’ critical thinking skills with microresponses. Comprehension, analytical, emotional heatmap. Scrible – Victor – Supports critical reading, research & evidence-based writing. Annotate, cite, save, and share online articles. Close reading. Curate articles. Tools to support the research process. Analytics allow visibility into student workflow and progress. ThinkCERCA – Spencer – Online literacy platform Grades 4-12. Making a claim, supporting claim with evidence. ELA, Social Studies and Science. Argument builder and peer collaboration. Writing platform works well in blended model. Teacher tool. Feel free to listen to the podcast Edsurge made during the event. I look forward to attending again next year. Meanwhile, I look forward to testing these products over the summer. A new report from AIR informs that after 13 years of significant federal investment totalling more than $30 billion, teacher Professional Development (PD) has shown mostly disappointing effects on teacher practice and student achievement. Birman (2009) conducted an analysis of more than 7,000 teachers and found that U.S. teachers have been receiving professional development that is superficial, short-lived, and incoherent. Only 13 percent of elementary teachers reported receiving more than 24 hours a year of in-depth training teaching reading. Only 6 percent of elementary teachers participated in more than 24 hours of in-depth study of teaching mathematics. Only one in five elementary teachers reported participating in professional development in which they practiced what they learned and received feedback. Only 17 percent of elementary teachers reported participating in professional development that was explicitly based on what they had learned in earlier professional development sessions. 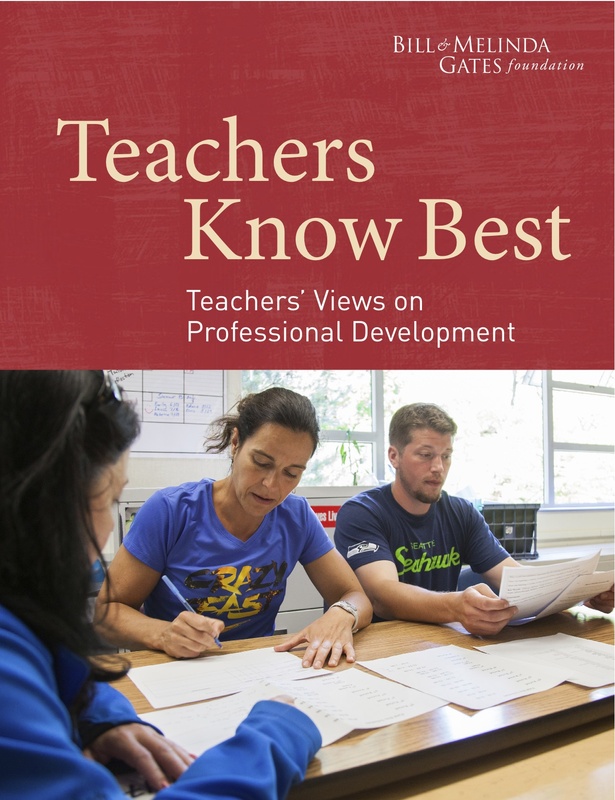 According to a 2014 Bill & Melinda Gates Foundation report fewer than three in 10 teachers (29 percent) are highly satisfied with their professional development, and only 34 percent say that PD is getting better. Research suggests educators perform better when they acquire the right knowledge and the right skills and have a chance to practice these new learnings, study the effects, and adjust accordingly. In 2013–14, for example, the average U.S. teacher received just about $251 worth of Title II–funded professional development and each principal received roughly $856. How should Congress revise this law so that a smarter allocation of the funds occurs? How should educational leaders match the right improvement activities to the right resources to the right educators? Please describe your best teacher professional development experience in the comments section. The graphic below illustrates the benefits of collaboration. Unfortunately, only 7 percent of teachers report working in schools with effective collaboration models. 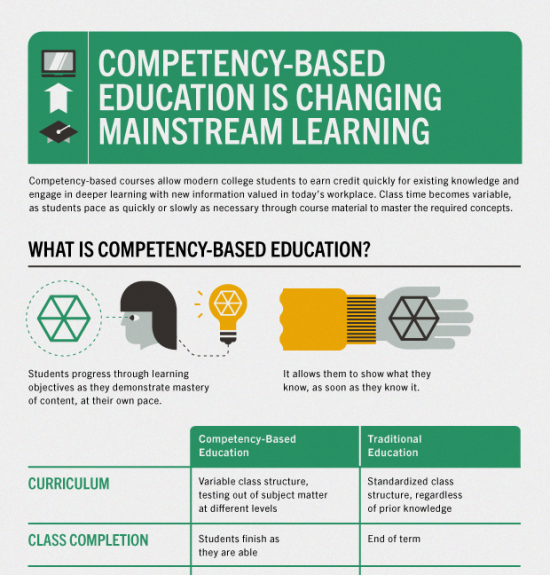 The purpose of this post is to clarify some opinions I expressed during a Twitter conversation with @PhilOnEdTech, @harmonygritz, and @WGU about Competency Based Education. I have followed Phil for almost a year now and I am impressed with the depth of his knowledge on Ed Tech issues. In a blogosphere of evangelists, he can be a voice of reason and caution, for that, I greatly admire his work. I am a classroom teacher. I have been for the last 12 years. Prior to working in the classroom, I worked for an entertainment industry, technology R&D lab. I have great enthusiasm and zeal for incorporating technology into my classroom practices. My experience in running a 1:1 classroom was that my course failure rate dropped by fifty percent. I do not believe that other teachers would have the same experience. In fact, I might not even have the same experience with a different sample of students. Thus, my main point in responding to Phil is that education policymakers should proceed cautiously before rolling out CBE on a large scale. Of course, this will not happen because most education policymakers are politicians who want to be seen as innovators, working hard to solve problems in our nation’s schools. Students who develop strong, positive relationships with their teachers are more likely to engage in rigorous academic work. Further, students who experience their high school curriculum in a coherent, aligned, and interdisciplinary manner (i.e., work-based, or competency-based education models) have shown increased engagement and higher graduation rates. Bob Bain has articulated the dangers a fragmented curriculum poses to student engagement. It was with these factors in mind that I joined a group of educators in starting up an entertainment industry-themed pilot school (LAUSD’s in-house answer to charters) a little more than five years ago. What we experienced was that many of our students did not “choose” our program for its work-based program merits. Students came into the program with varying levels of enthusiasm for entertainment industry careers. When I interviewed many of my chronically absent and failing students, I found they wanted careers in social work, psychology, and law enforcement. Many of them had been rejected by the larger career academies in the district and had come to us as their 2nd, 3rd, or 4th choice. Further, a rigorous, career-based, competency model can be even more difficult for low-income students to complete. Some researchers have theorized that urban, low-income students are exposed to greater levels of violence in their neighborhoods and grow up with symptoms of PTSD. I concur with this line of reasoning. Dealing with teenagers is always a balancing act. On the first day of state testing, the body of one of our female students was discovered, naked, shoved into a box, and dumped on the side of the freeway. She was 15 years old. The police held a news conference at 7 am in front of our school. Do you think our students found those tests relevant to their lives? My point is that we should follow Phil’s advice when it comes to Ed Tech. There are no silver bullets. I think Mark Twain said something about lies, damn lies, and education statistics. Often, I see schools and districts making million-dollar decisions based on hope rather than validated outcomes. I’d like to see CBE tested rigorously and in a variety of school settings before it is anointed as the Holy Grail, be all, end all replacement to the Carnegie unit. I am in favor of experimentation in K12 education. I think, as a country, we do far too little of it. I am concerned that ed pols rush headfirst, full of optimism and good intentions, into areas where there is a dearth of empirical evidence, then are surprised when things don’t work out. Many K12 students lack the work experience and subject matter knowledge to benefit from a competency-based ed program. Let’s take a breath and see how deep the water really is before we all jump in. I was invited to participate in a stakeholder meeting on the California Assessment of Student Performance and Progress (CAASPP). The purpose of the meeting is to gather input from stakeholders regarding a new History-Social Science Content Assessment. The new assessment will be aligned with the Common Core State Standards. The meeting is hosted by the California Department of Education (CDE) and Educational Testing Service (ETS). California should move toward an accountability system with local designs in order to have schools prepare students for regional colleges and work sectors. Schools and districts can use state funds to create new assessments for college and career readiness. Testing vendors need to be more inclusive of local needs, or else the opt-out movement in standardized testing will increase. California’s Local Control Accountability Plan (LCAP) requires districts to develop, adopt, and annually update, with parent and community involvement, a three-year accountability plan that identifies goals and measures progress across multiple indicators of both opportunities and outcomes. Local districts can add their own indicators to those that are state required. Research shows that engaging teachers in jointly scoring student work produces greater success, builds professional norms, and increases content knowledge. Further, engaging students in peer review requires them to compare their work to the standards and culminates in powerful learning experiences. 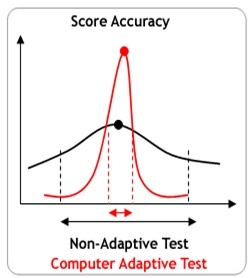 The next generation assessments should incorporate both of these factors, but additional improvements in testing may be driven through the use of artificial intelligence, computer adaptive testing, and what are colloquially known as “robo-graders” to provide instant feedback to students during the testing process. 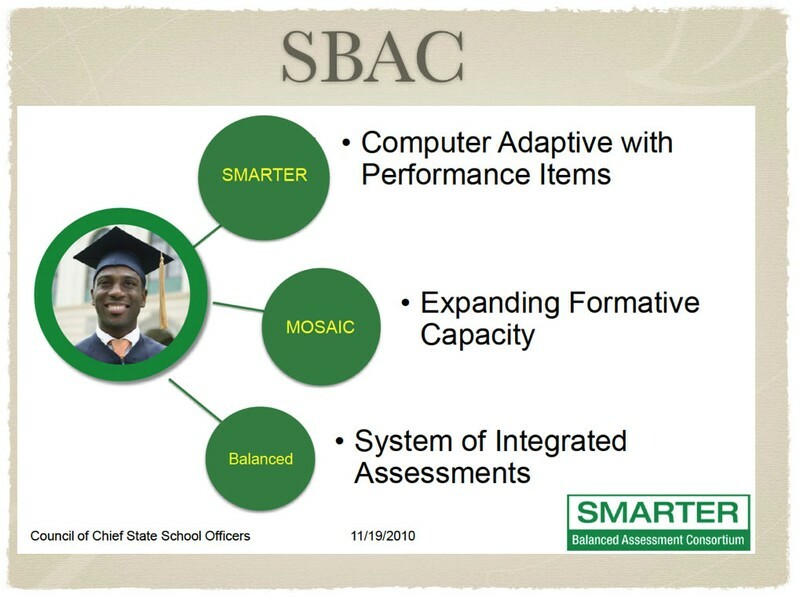 Now that California assessments are moving beyond paper and pencil, the technology behind testing systems needs to be updated also. This year, my free fantasy football league added a new feature. Each week, they use artificial intelligence to run if/then calculations on your individual team. If you had played Tom Brady instead of Peyton Manning, you would have come in first place instead of fifth. The computer reports on four or five of your key players and you kick yourself for the rest of the week. Honestly, I was blown away by how light, conversational, and even funny the writing in this narrative was, because I knew it was all computer-generated. It was very user-friendly, like the products that Spotlight Education develop. Regardless of what the assessment experience is like, it’s going to produce some form of data, and that data should be understandable and actionable by families and educators. After pondering this, I started wondering why our educational leaders aren’t using this technology to make testing more interactive and interesting? Aren’t they talking to anyone in Silicon Valley? Don’t they realize that gamification offers powerful assessment technologies and engages students in deeper learning activities? If these new tests are going to be worth the effort, shouldn’t we make them cutting-edge and restore California’s reputation as an innovator? Give students some choice about what they feel they know the most about (e.g., The Gold Rush, WWI, The Vietnam War, and etc). Provide a library of documents and a menu of different performance tasks like the CWRA or New Hampshire’s PACE system. Measure how well students respond to feedback from a computer adaptive engine. For example, students construct a response arguing whether the eugenics movement was positive or negative for mankind. The computer “reads” their response and gives them a revision list. Then, the students improve their writing and resubmit. A teacher, or subject area expert may still be needed to assess the level of content knowledge in the students answer, but we are nearing the time when computers can assess a student’s historical reasoning. This type of test would not only measure what the student knows, but what the student can do with what they know. This is similar to what happens in the workplace, when a piece of writing has to incorporate the diverse opinions of a team or committee. Critics of this approach will demand evidence that students have learned all the standards. Surely, measurement experts can design an approach that samples different populations in schools and gives them different standards, otherwise we will get new tests that are no different from the 60-80 question fill in the bubble tests that provide 2-4 questions per standard and cause testing fatigue in our students. Allowing students to select a portion of the content will create more engagement in the testing process. If technology can provide high-quality analysis and advice to fantasy football players for free, why can’t ETS provide similar rich and rewarding experiences when testing California students? We need tests that teach students to reflect on their choices and make better decisions. Further, these tests need to be engaging (and dare I say fun?) enough so that students look forward to the challenge instead of dreading it. We have the technology. We have the know-how. We just need the consensus. Please get involved with your local schools and provide input on their LCAP proposals. Demand more than a fill in the bubble testing experience for your child. Darling-Hammond, L., Wilhoit, G., & Pittenger, L. (2013) Accountability for College and Career Readiness: Developing a New Paradigm. Standford Center for Opportunity Policy in Education. Palo Alto, CA. Accessed at http://dx.doi.org/10.14507/epaa.v22n86.2014 on March 15, 2015. Leather, P.K. and Barry, V. M. (2014) New Hampshire Performance Assessment Of Competency Education: An Accountability Pilot Proposal To The United States Department Of Education. November 21, 2014. Concord, NH. Accessed at http://www.education.nh.gov/assessment-systems/pace.htm on March 12, 2015. For some time, I have been wrestling with the problems occurring in virtual schools throughout our country. As a tech enthusiast, I believe educational technology has the potential to transform public education. However, the wrong students are being recruited into virtual schools and because almost all virtual schools are charter schools being run by for-profit Educational Management Organizations (EMOs) they are trying to maximize their dollars instead of improve their educational delivery model. Researcher Michael Barbour (@mkbshu )thinks competition and market forces in the education system have created a separate, but equal education systems. While Adam Smith championed free markets in the private sector, we have seen that public school closures devastate and devalue communities (Hello Chicago!). Thus, this post is a collection of tweets that will be sent to California legislators who oversee K12, Inc’s California Virtual Academies (CAVA) virtual schools. In the hopes that they remember their responsibility is to California school children, not out of state corporations. Feel free to blog, reblog, tweet, retweet, and rock on in the search for truth, justice, and the American way. In 2011-12, the most recent data available, CAVA paid teachers an enrollment-weighted, system-wide average of $36,000 a year, while teachers at CAVA’s authorizing districts made an average of $60,000 a year. Because they only pay a fraction of what corresponding districts pay, CAVA teachers report high rates of teacher turnover. In 2012-13, CAVA received $95M in public funding, $47M went to K12 HQ in Virginia. In the last four years, CAVA’s overall graduation rate was 36%, compared to 78% for the state of CA. In 2012-13, 57% of schools with similar student populations performed better than CAVA and 71% of all schools in the state performed better than CAVA. CAVA’s statewide rank was a 2.9 out of 10. Some teachers spend 65 hours per week just completing administrative tasks. In 2012, K12 spent $1 million on Nickelodeon and Cartoon Network advertisements, and $600,000 on teen social media sites. That year the company’s ad spending topped $20 million. Using the California Department of Education’s definition of “continuous enrollment,” CAVA was found to have a 2012-13 student turnover rate of 24%, compared to 7% in California. CAVA’s model of virtual education negatively impacts CA kids. Virtual Schools should not look like this. CAVA’s head of school has issued this response: Response to In The Public Interest Report from California Virtual Academies, by Katrina Abston. Legislative Office Building, 1020 N Street, Room 159 Sacramento, California 95814 Phone number (916) 319-2087. Thanks for summarizing my presentation, Michael. I have been studying teacher innovation for the last five years. My research examines the confluence of teacher entrepreneurial orientation, blended learning, and online teacher professional development. What I have found is that these areas are converging in the so-called “MOOC-osphere.” This means there are great opportunities for leveraging and scaling MOOCs as assets in teacher professional development programs. We know from research (Barnett, 2002; Borko, 2004; Darling-Hammond et al, 2009; and Killeen, Monk, & Plecki, 2002) that teachers often view professional development as ineffective. Most PDs do not provide ongoing support for implementing new strategies or tools. 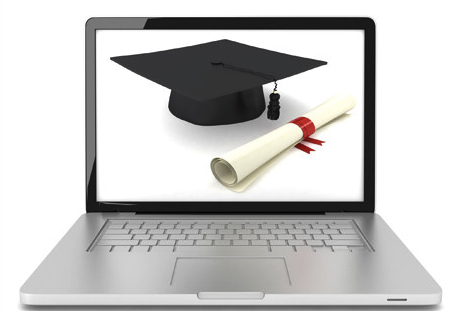 MOOCs offer a scalable way to train staff anytime, anywhere and in very large groups. This approach produces robust data sets that illustrate which learning activities are effective and which are not. This data can be analyzed to fine-tune the variety of trainings essential for rolling out comprehensive curricula implementations, blended learning initiatives, and 1:1 programs. 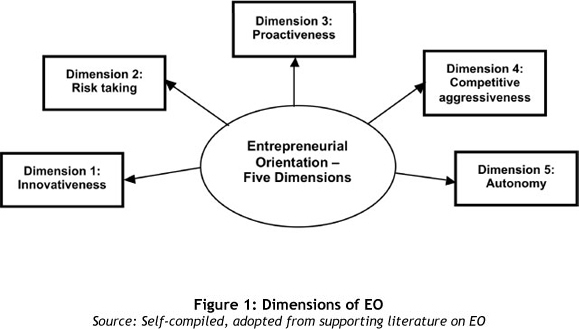 The entrepreneurial orientation (EO) construct has been studied for 40 years and these studies have been published in 256 scholarly journals. Although primarily used in Management research, the construct has been successfully adapted and validated as a scale for measuring teachers and administrators along domains of innovativeness, proactiveness, and risk-taking. This work provides precise definitions for each domain as well as a baseline for comparing teachers who seek out PD opportunities online to those who do not. Dede et al (2005) reviewed 400 articles about online, face-to-face, and hybrid teacher PD programs and found 40 represented high-quality empirical research. They developed five areas for examining best practices (a) Design, (b) Effectiveness, (c) Technology, (d) Communication, and (e) Methods. These focus areas may provide a framework for evaluating MOOCs PD assets. 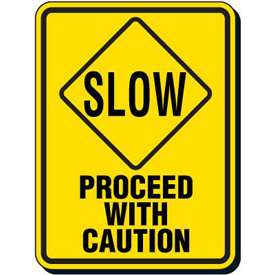 As a final takeaway, I would like to clarify that I am NOT suggesting that we do away with all other forms of PD, however, Districts should be supplementing their professional development programs with MOOCs and using that data to drive their follow-up offerings. While for-profit corporations proliferate, marketing online education programs with dubious success rates, perhaps the smart play is to market MOOCs to people who want to be life-long learners, improve their technical skills, and increase their pedagogical moves. These people are already in your buildings. They are your teachers. 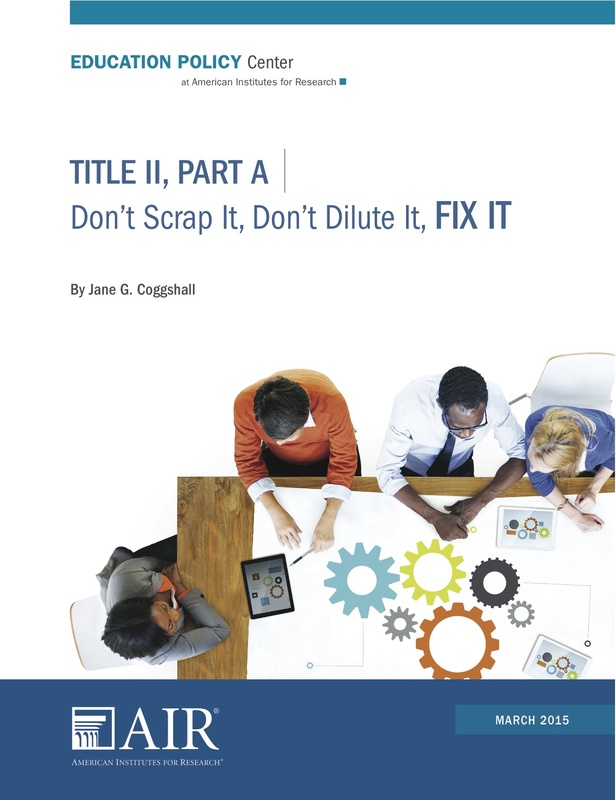 Title II funding has resulted in the allocation of more than three billion dollars to professional development (Darling-Hammond et al, 2009). More than 40 states have adopted standards calling for effective professional development. Yet, as a nation, we have failed to leverage these examples to ensure that every educator and every student benefits from highly effective professional learning. Blank & Alas (2009) reported that standards-based educational improvement requires teachers to have deep knowledge of their subject and the pedagogy that is most effective for teaching the subject. School districts spend the equivalent of $200/pupil on professional development (Killeen, Monk, & Plecki, 2002). Unfortunately, teachers often view professional development as ineffectual or a waste of their time. Many programs offer “fragmented, intellectually superficial” seminars (Borko, 2004, p 3). Worse, these PDs do not provide ongoing support for implementing new strategies or tools (Barnett, 2002). This makes it difficult for teachers to implement new practices in environments resistant to change. Dede et al (2005) reviewed 400 articles about online, face-to-face, and hybrid teacher PD programs and found 40 that represented high-quality empirical research. They developed five areas for examining best practices (a) Design, (b) Effectiveness, (c) Technology, (d) Communication, and (e) Methods. These focus areas may provide a framework for evaluating MOOCs as Blended/Online Teacher Professional Development assets. If you are in Las Vegas, Nevada, please join me at the 2015 SITE Conference at the Rio Hotel. I will be discussing the benefits of leveraging and scaling MOOCs as teacher professional development assets at a research panel on Professional Development and Teacher Preparation for K-12 Online and Blended Settings on Thursday, March 5th, from 4:15-5:15 pm, in room #11.